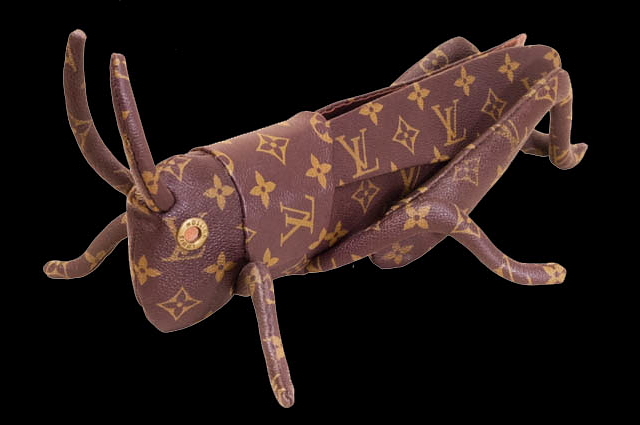 Nine locust sculptures crafted by artist Mitsuhiro Okamoto from fake designer bags, were removed from the Kobe Fashion Museum after Louis Vuitton complained the art violated its trademark. 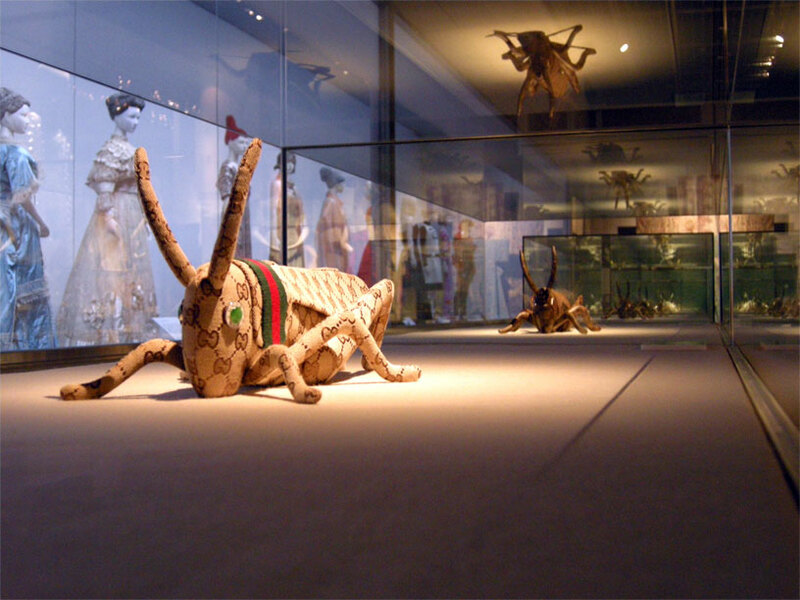 The sculptures, which measure about 40 cm long, are titled “Batta Mon” — a play on the words batta (“locust”) and battamon (slang for “knockoff”). 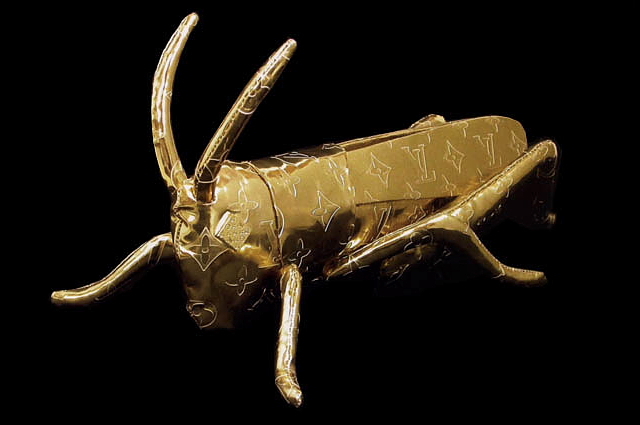 According to the artist, the works are meant to raise questions about the relationship between authenticity and imitation in a consumer-driven society. 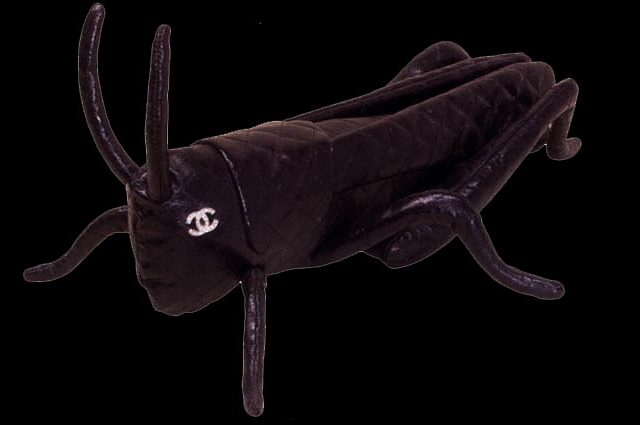 Article retrieved from boingboing.net. More Batta Mons, here.